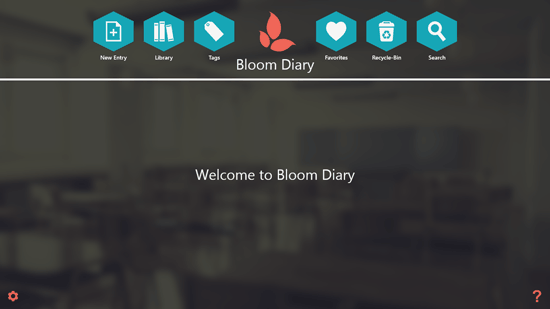 Bloom Diary is a free lifestyle app for Windows 8 and 8.1 computer that is helpful in keeping track of your day-to-day events happening in your life. Bloom Diary is a diary that lets you record everyday events, how they happen, the moments that make difference in your life, experience you would want to write, note down your ideas and thoughts and so many more things. Bloom Diary can work well as an organizer for keeping your books, logs and entries in an organized manner. The app comes with a superior reading and editing feature that helps user read the context in a high quality manner and switch between chapters easily. In the text, you can add also location, photos, date and time. In the Bloom Diary app, you will have to click on New Entry to make a new book by naming it what you want it to be. After creating the book, your book will open with a document having a blank page. The different options for adding text, location, access books, add tags and add photo to the present chapter is in the menu on the left side of the page. There are different options for text in the Bloom Diary like font family, font size, bold, italics, underline, strikethrough, subscript, superscript, text color, paragraph alignment, add hyperlink URL. 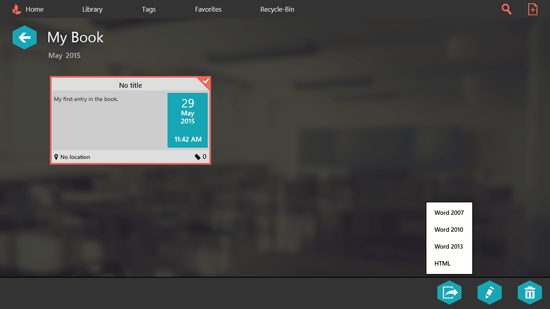 You can also check out digital diary and ultimate diary for Windows 8, if you need more options. You can export your entry in formats such as Word 2007, Word 2010, Word 2013 and HTML. Apart from exporting the entry, you can also email it to your friend or family. You can also add the entry to your favorites. The app lets the user print the entry directly from it. Within the app you can change a date for any entry by clicking on the date of the entry. The user-interface of Bloom Diary is minimal with elegant colors and nice design.